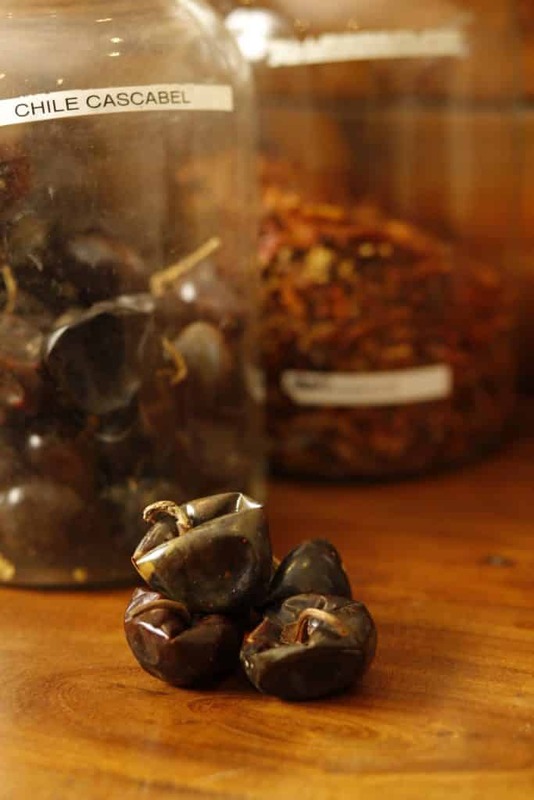 Cascabel means "rattle" in Spanish as the seeds shake about freely in this spherical chile. With its low heat level and tangy flavor the cascabel works well when combined with its spicier cousins. Try it in bean soups or puree with tomatillos for a tangy green salsa.